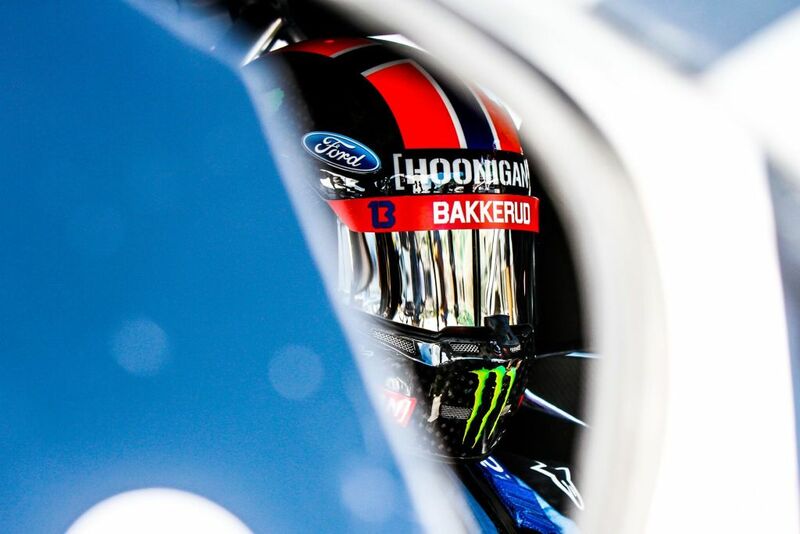 Andreas Bakkerud (nu 4e in het klassement met 157 punten) gaat als een speer in zijn 2016 Ford Focus WRX en is in dit seizoen met nog 4 races te gaan, nog maar 24 punten verwijderd van het kampioenstitel in de FIA World Rallycross Championship. 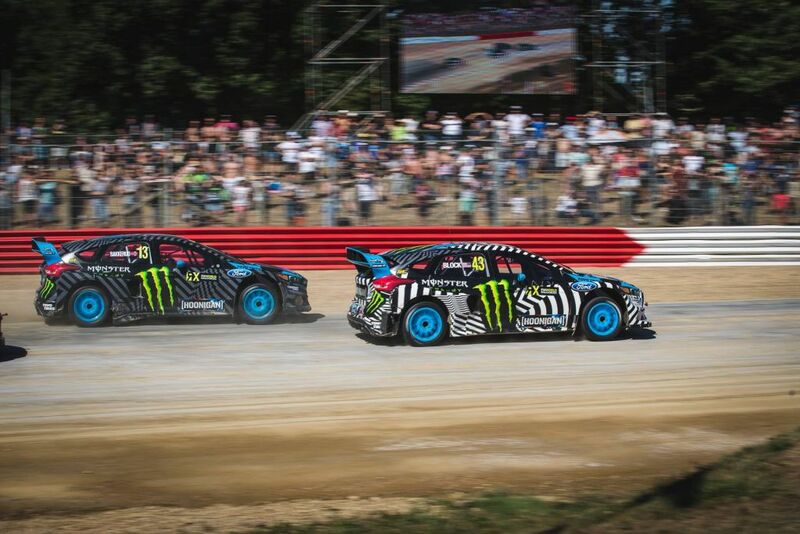 Helemaal geen slecht begin van het nieuwe ‘Hoonigan Racing Team’ en de nieuwe ‘Ford Focus RS WRX’. 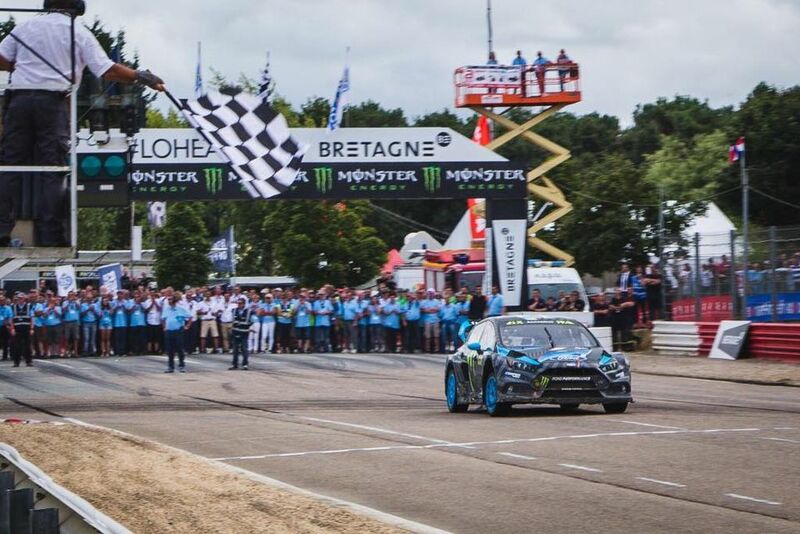 Zijn & Team baas Ken Block staat 14e met 51 punten. 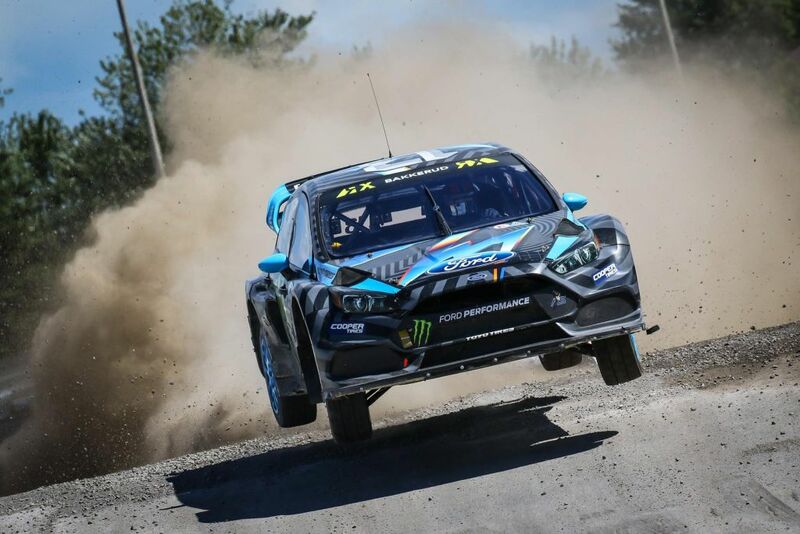 2nd Place for my teammate Andreas Bakkerud – again!! 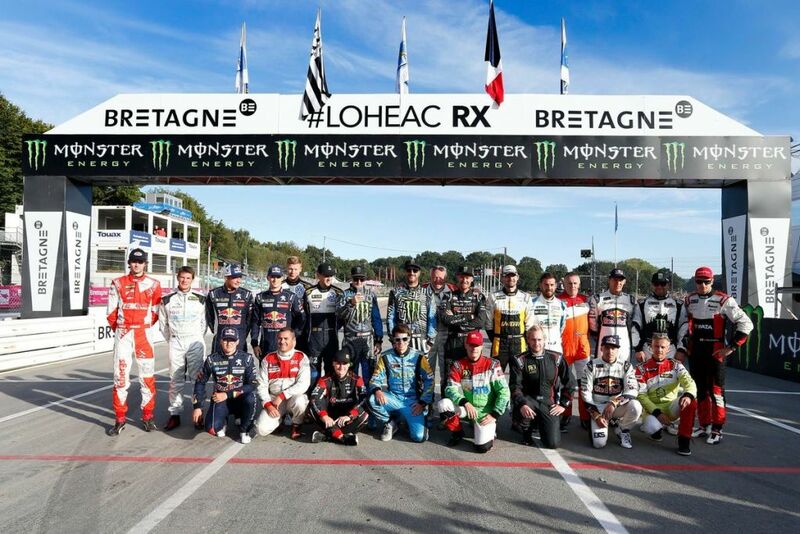 This time it was here at #LoheacRX in France. This kid is KILLING it right now. That’s two back-to-back wins and two back-to-back second place finishes for him this year. 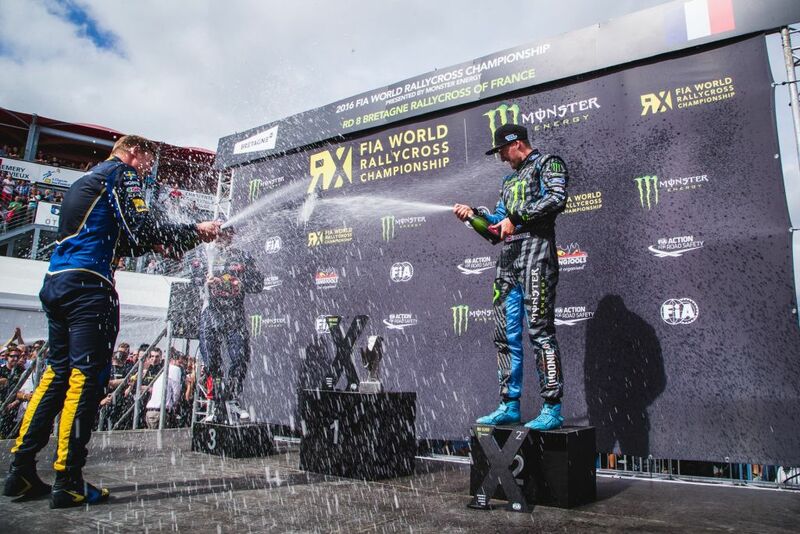 So stoked for him and our Hoonigan Racing team, especially since Andreas is now only 24 points away from being first overall in the FIA World Rallycross Championship. 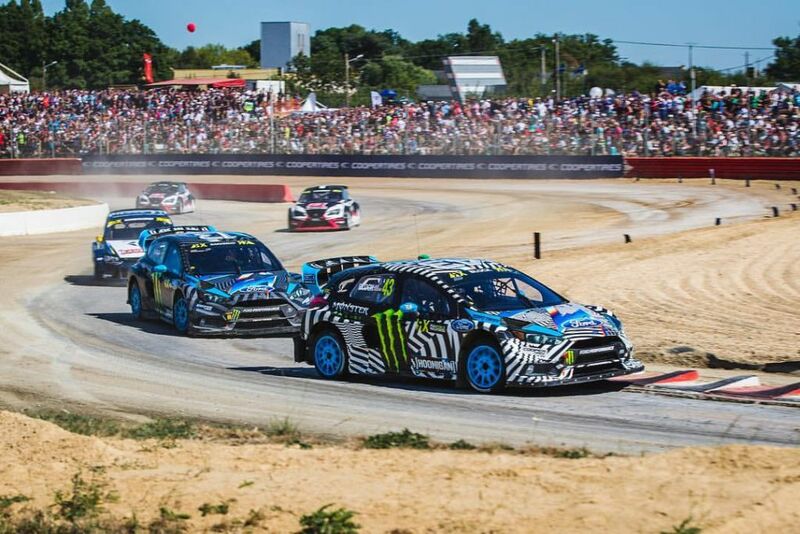 I’m gutted that I wasn’t able to finish the #LoheacRX final as strong as the rest of my race weekend here. 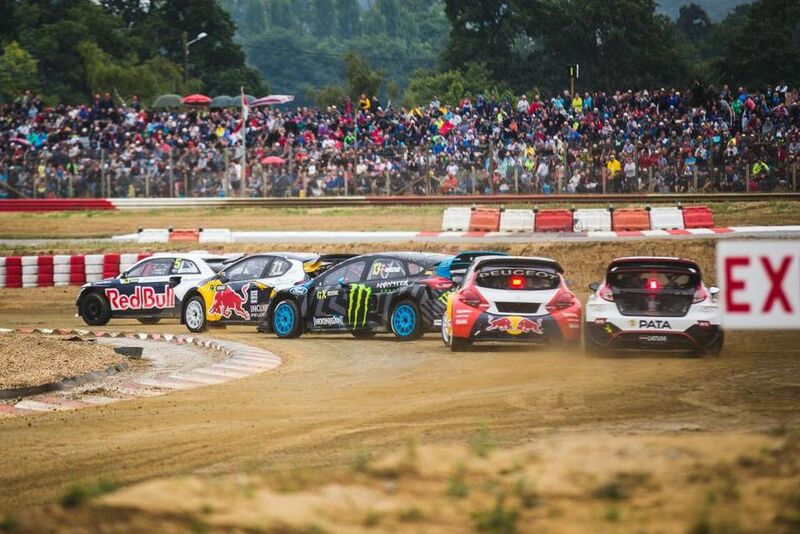 I won my Q3 race, beating out WRC Champions Solberg and Loeb in the process. And I finished Qualifying in 4th overall, my best result this season. I feel like I’m finally finding my pace in the Ford Focus RSRX! Unfortunately a disagreement with a barrier cost me a potential podium finish in the final. But, that’s racing. I’m really stoked for Andreas and the progress we’ve made with the RSRX so far. Great weekend for the team! 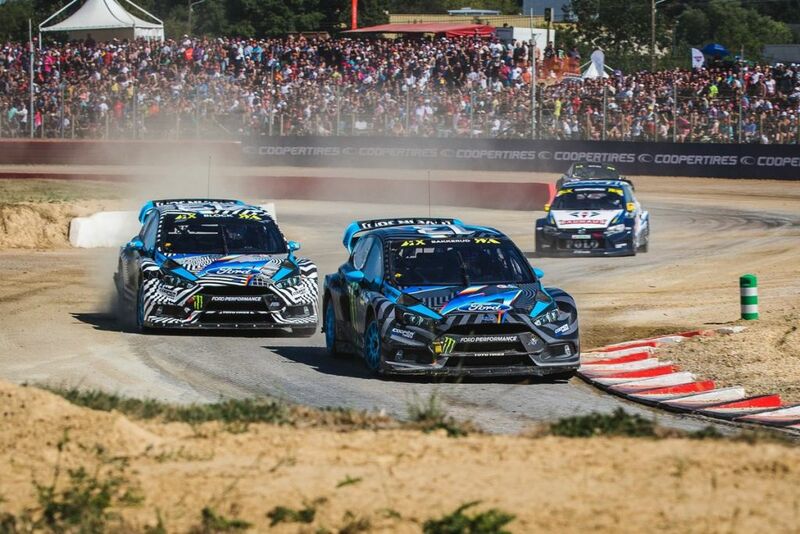 Good feeling to cross the finish line after six hard laps in the final for a new FIA World Rallycross Championship podium – my fourth in a row! 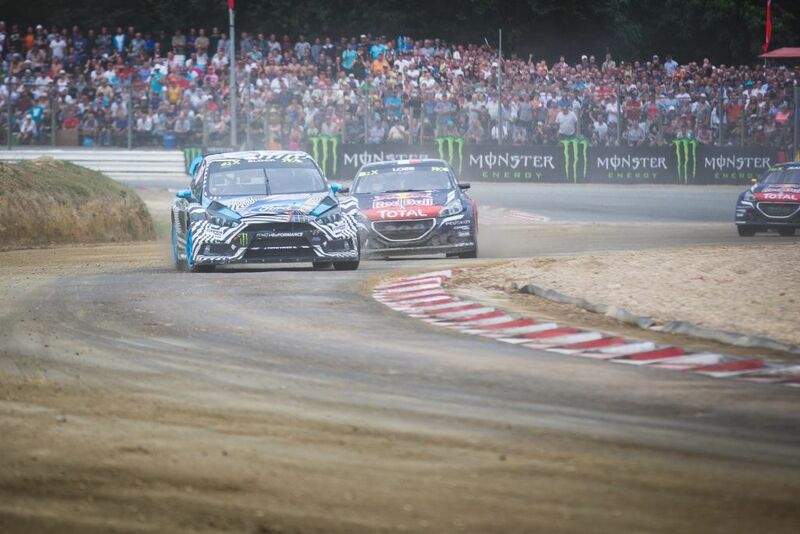 Thanks again #LoheacRX – the track and the crowd was great.